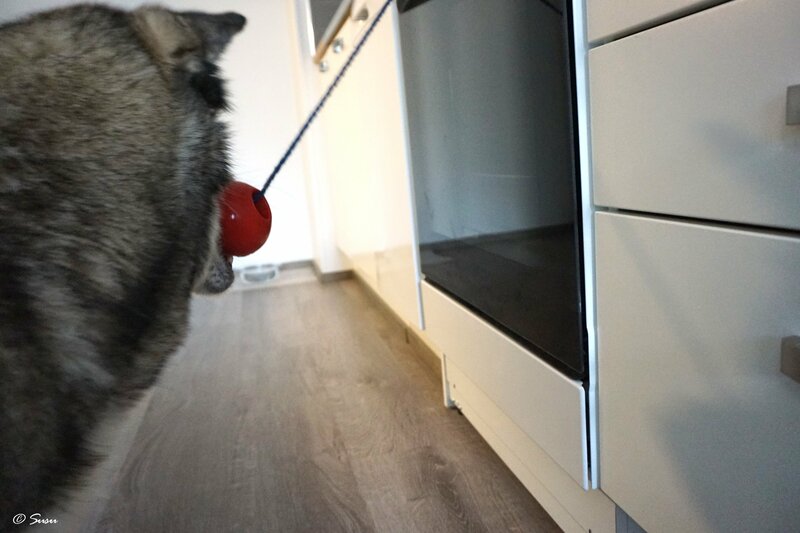 I thought this game would be easy for Miki but it turned out to be “Mission impossible”. 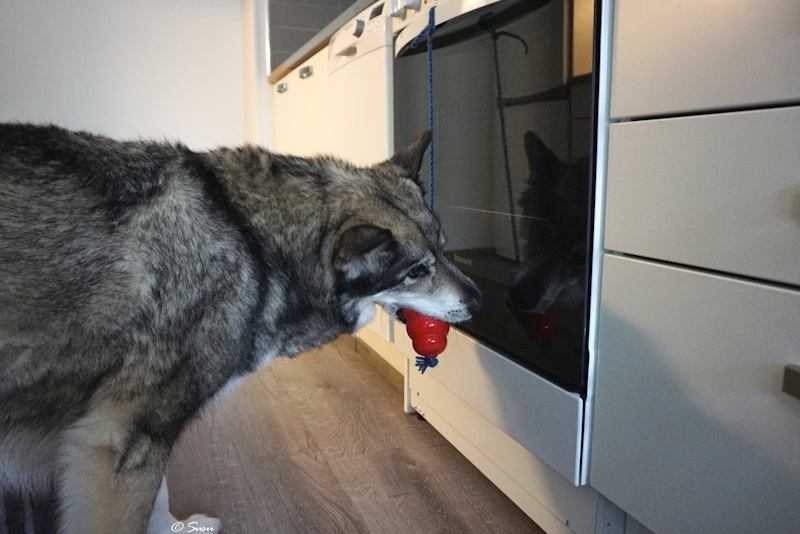 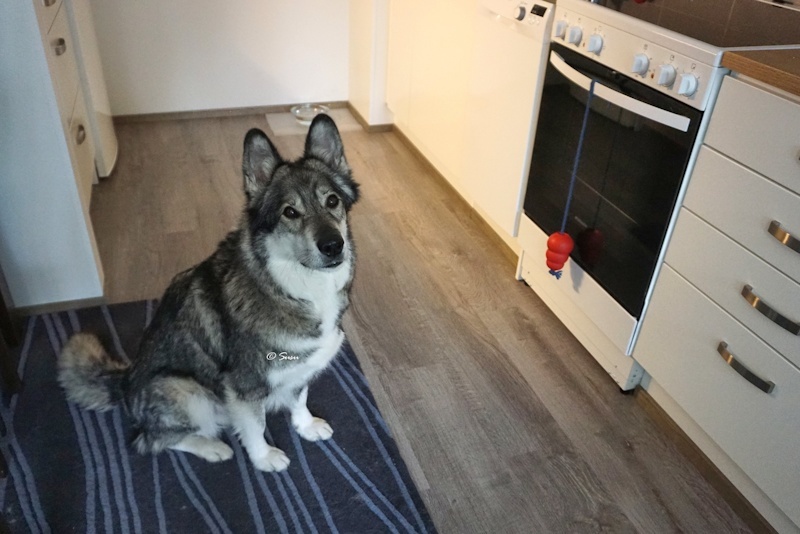 I still wanted to share this experience with you, because all dogs are different and what turned out to be too difficult for Miki can still be a piece of cake for your dog. 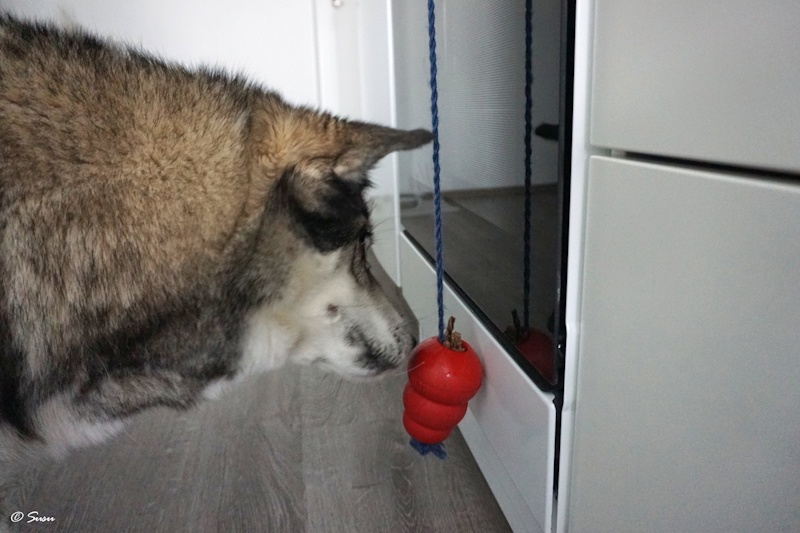 All you need is a Classic Kong toy and a piece of rope. 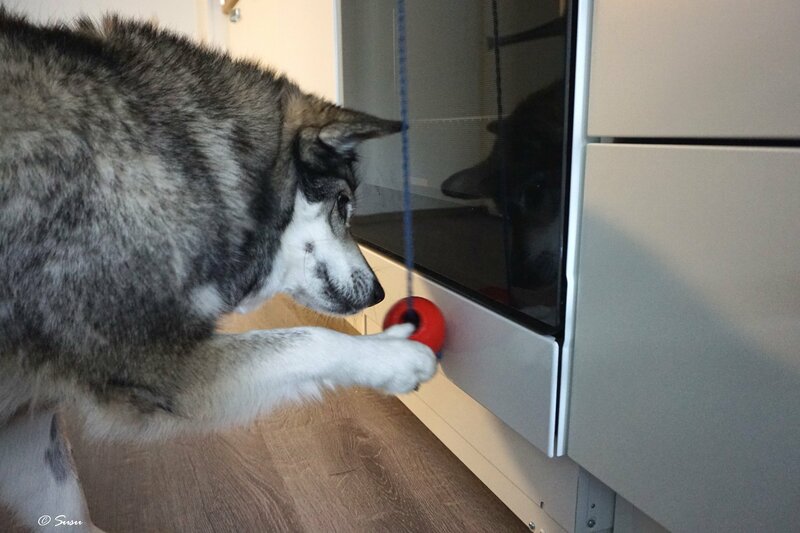 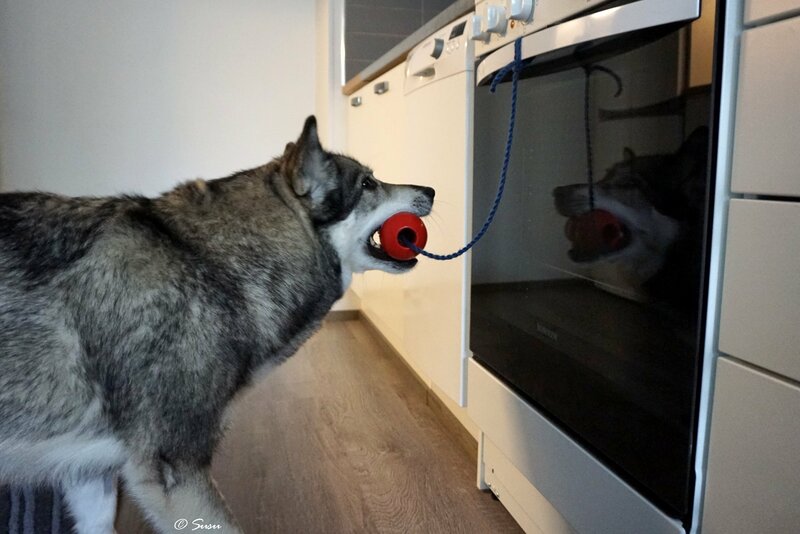 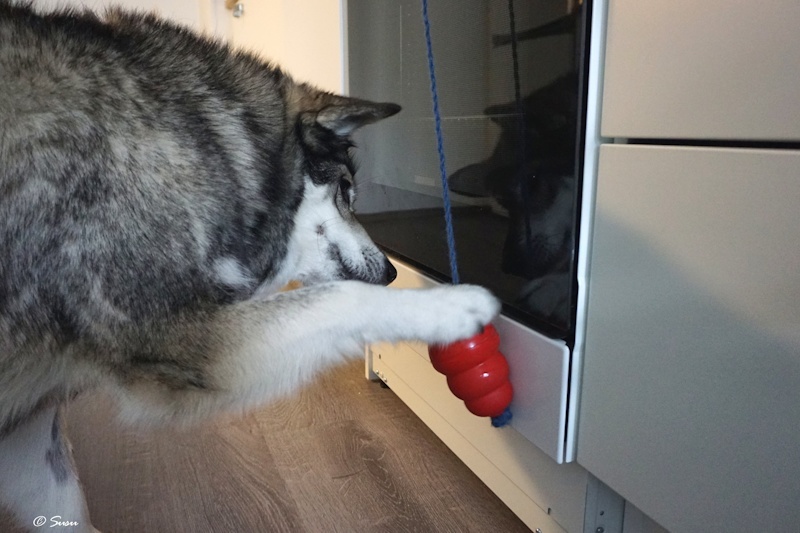 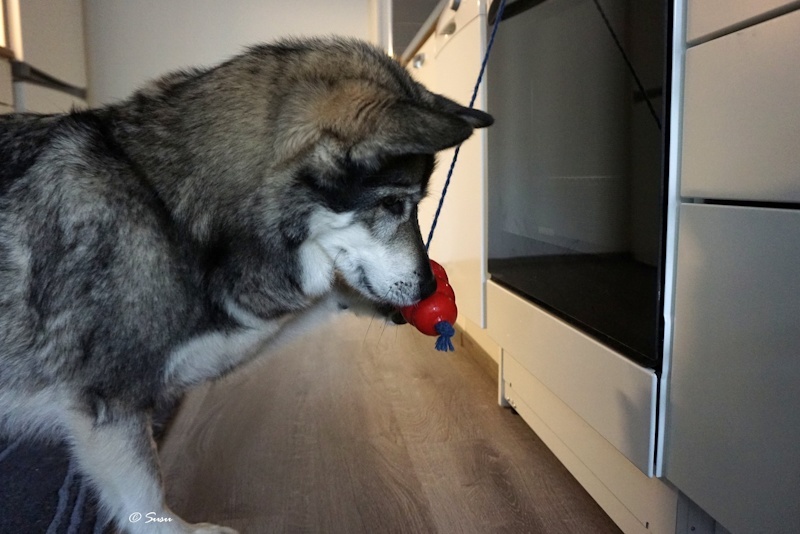 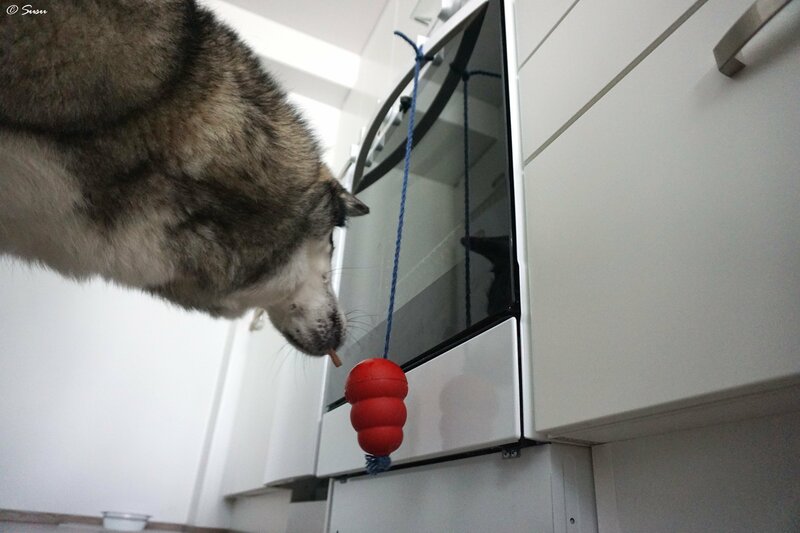 The rope should be long enough so your dog can reach and move the toy easily. 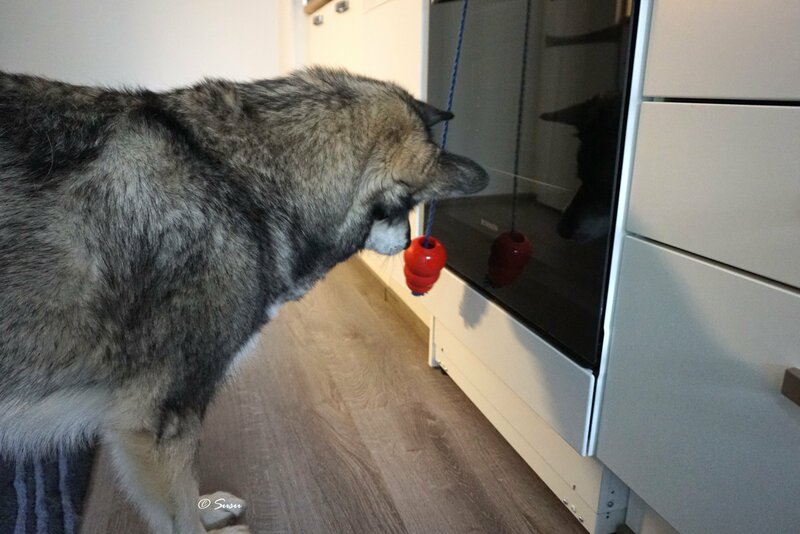 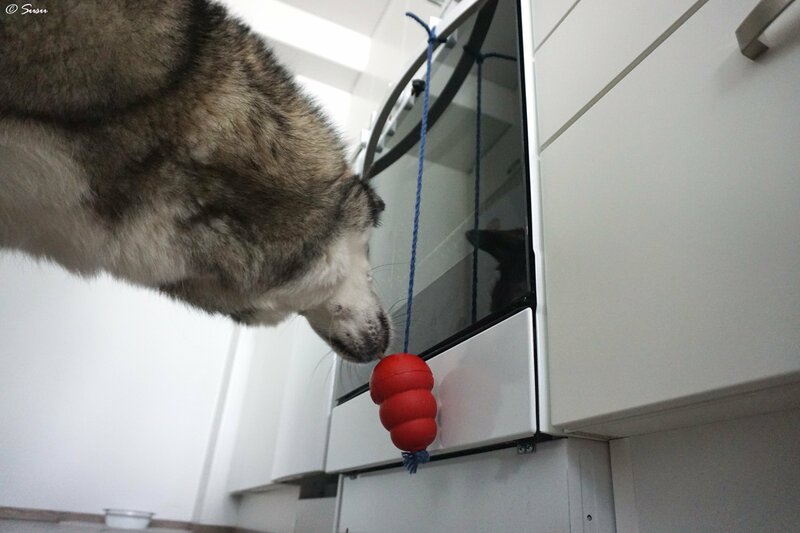 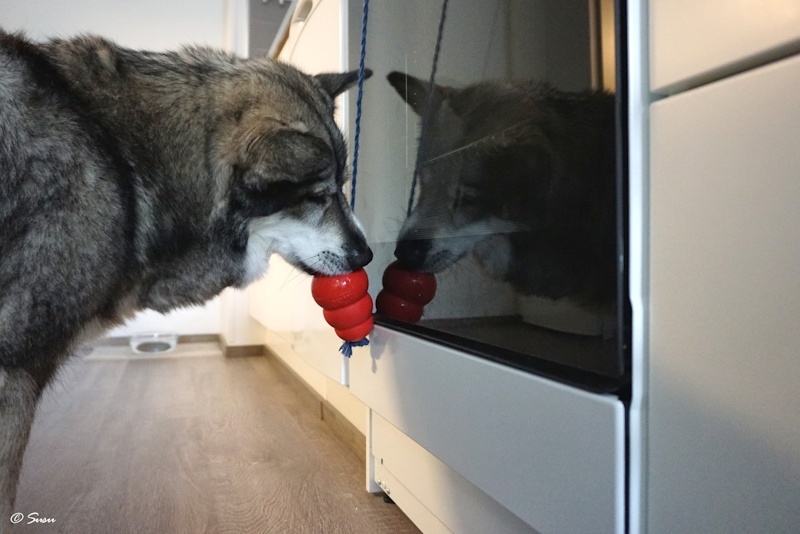 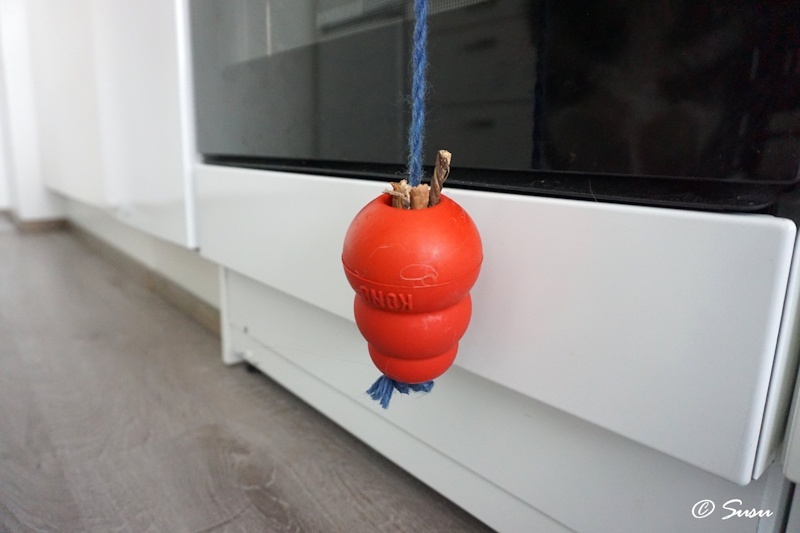 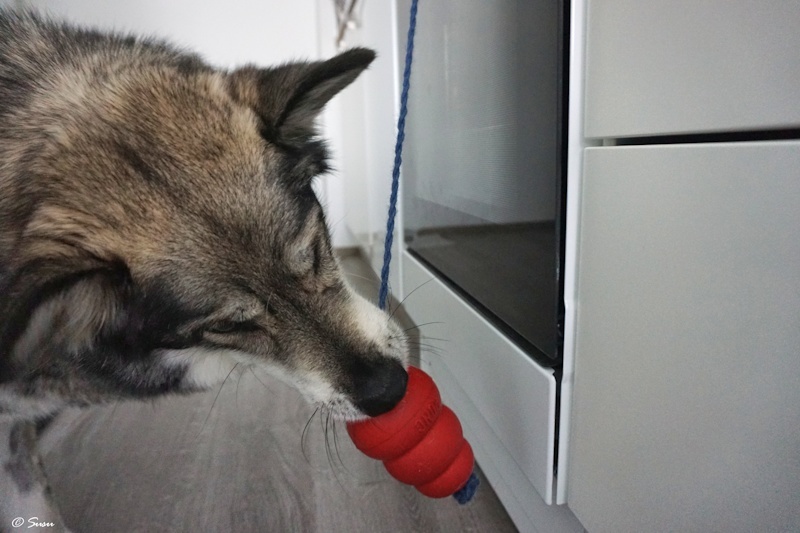 Make a large knot on one end of the rope and hang a Kong toy upside down. 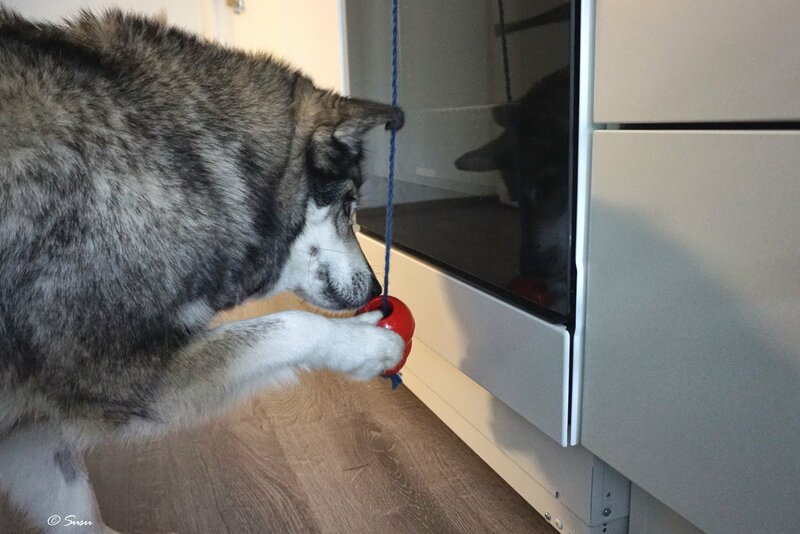 Make sure the knot is large enough so your dog can’t pull the toy through the knot. 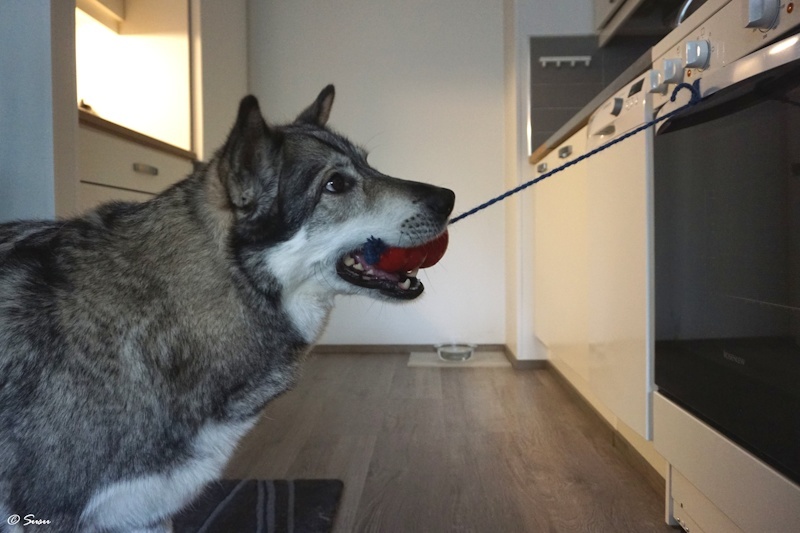 Tie the rope on something that won’t break as your dog might pull on the rope like Miki did. 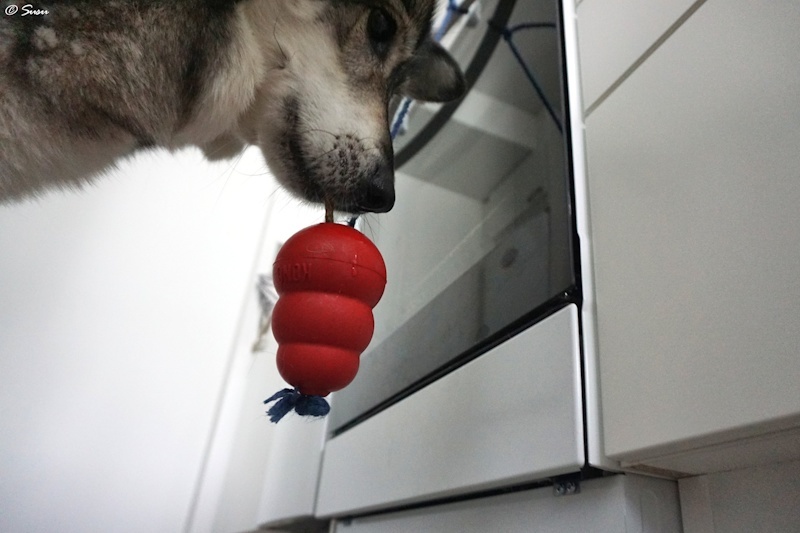 Then fill the toy with treats. 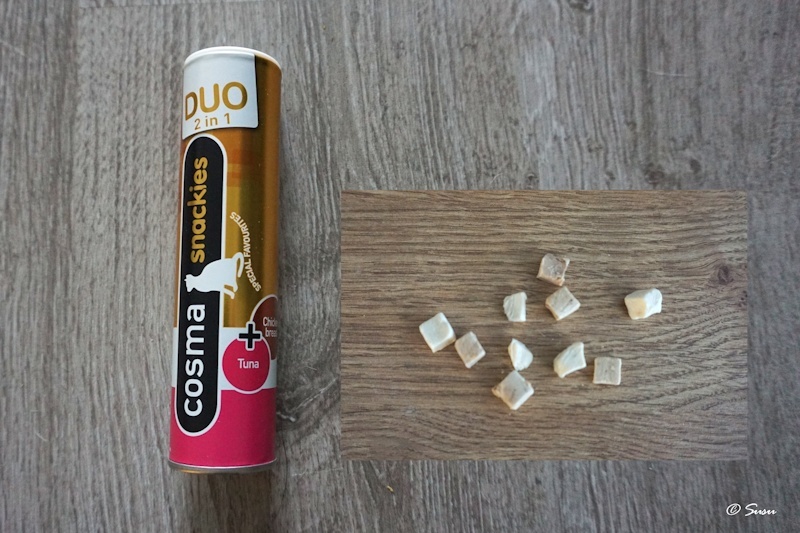 I used these very small pieces of dried chicken and tuna, which you can buy from zooplus.com. 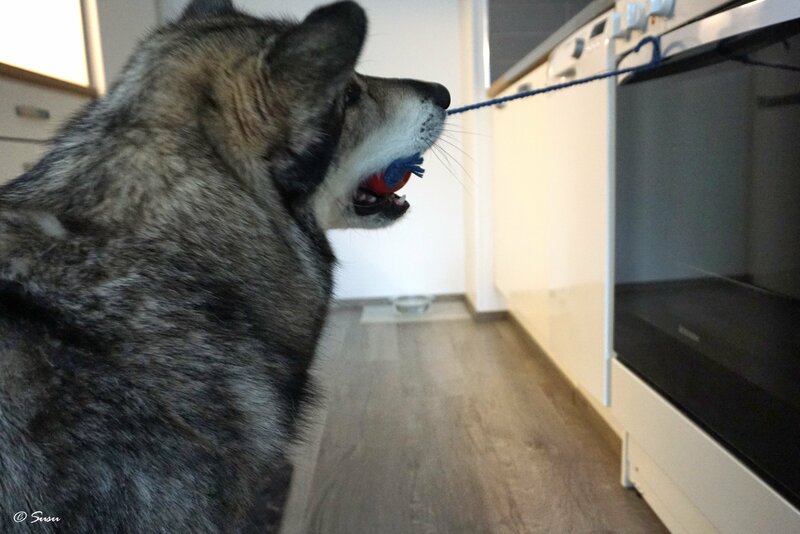 Miki tried to pull the toy off the rope like a hundred times. Once he was very close to succeeding. 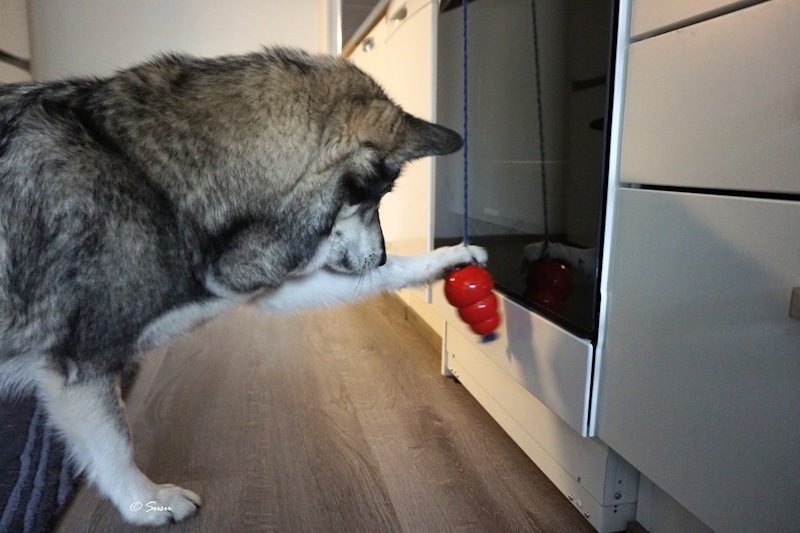 Then Miki tried to scoop the toy with his paw but nothing worked. 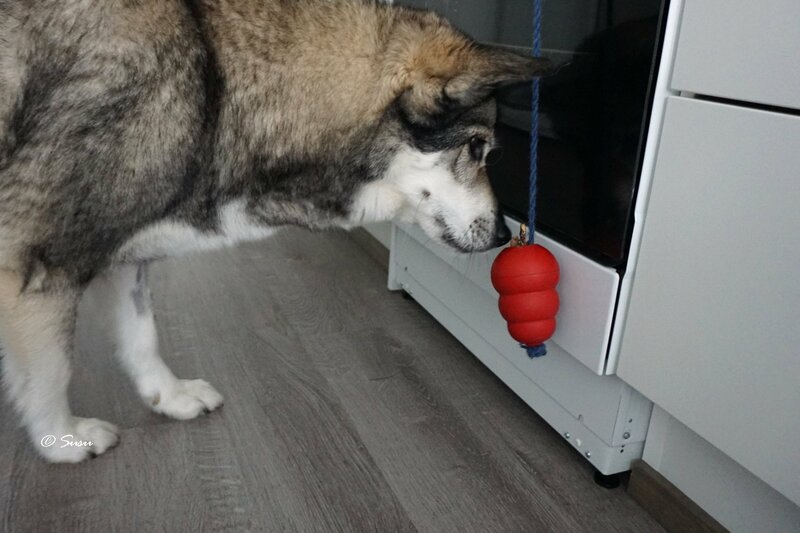 After a while I showed him that the treats will fall out when you turn the toy upside down (just like Miki normally does to get the treats out) but for some reason Miki didn’t get it at all. 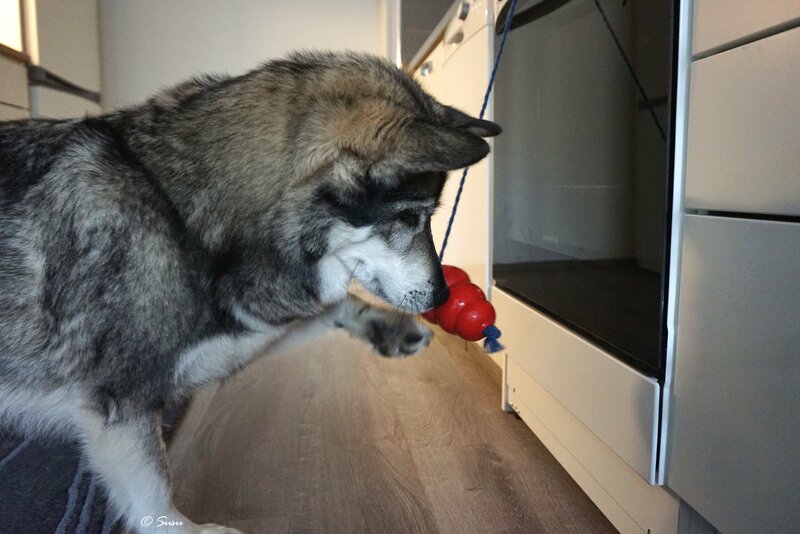 At some point he got the toy secured and tried to lick the treats out :D He managed to get some pieces out but not all of them.